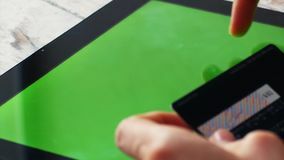 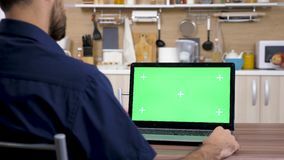 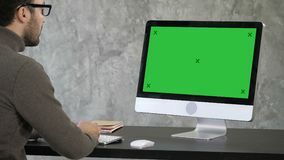 Woman`s hand using pc with green touch screen monitor. 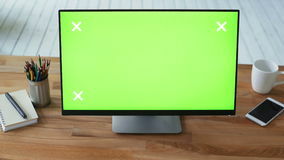 Young business people conflict problem working on project in team together, businessmen and women serious argument the Close shot of laptop`s display with chromakey in modern office Happy successful young people business team giving a high fives gesture as they laugh and cheer their success at project Man in the kitchen looking at computer with green screen mock up Elegant businessman analyzing data in office on his computer. Back view to the monitor. 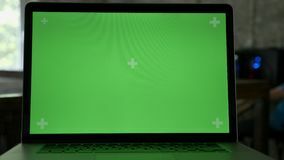 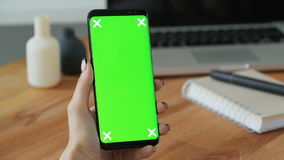 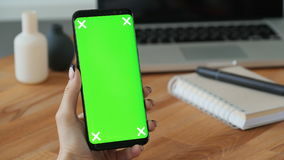 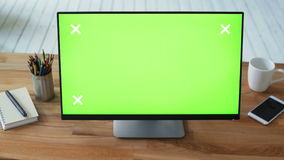 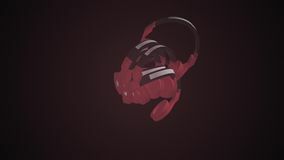 Green Screen Mock-up Display.